So, how do you feel about spiders? 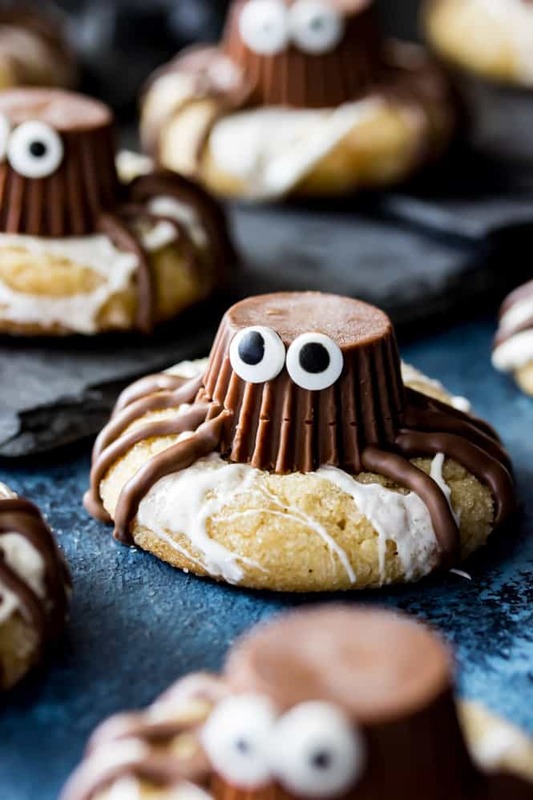 How about spider cookies with adorably huge candy eyes? 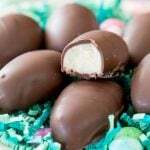 Ones with peanut butter and chocolate bodies, with dark chocolate legs snuggled tightly onto marshmallow cobwebs? I can tell you that this is the only kind of spider that I’d be happy to find sitting unexpectedly on my kitchen counter, packed away in a lunch box, or hiding out in a Tupperware container. I can not take the creative credit for these cookies — I saw them all over Pinterest last Fall and decided that I had to do my own version this year. I used a slight variation of my favorite peanut butter cookies for the bases and then decided to drape them in sticky marshmallow webbing. First thing’s first, put all of your Reese’s cups in the refrigerator to chill before you even begin. This will make them much easier to handle when you start your assembly. 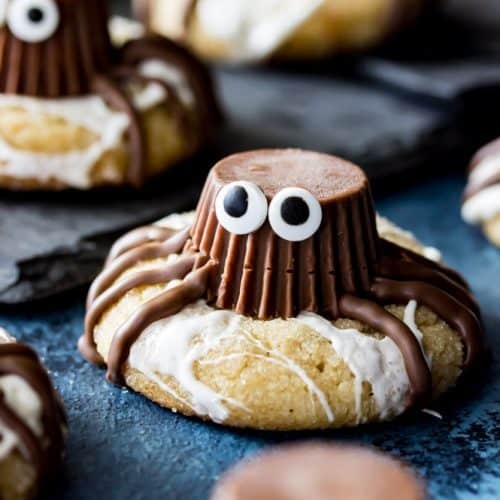 You will want to use Reese’s miniatures (not the teeny tiny ones that you can usually find in the checkout aisle), they’re just the right size and shape for our spider bodies. 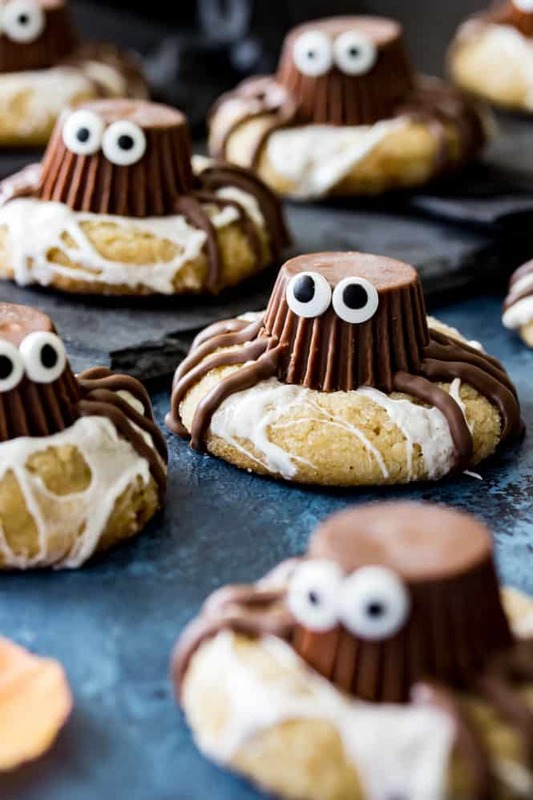 Next, you need to prepare and bake your peanut butter cookies that will be the bases for these spider cookies. Once they’re baked but not entirely cool, use one of your chilled Reese’s (I leave the foil on at this point) to make an indent in each cookie, just press and remove. This will make it easier to attach your spider bodies later on down the road. 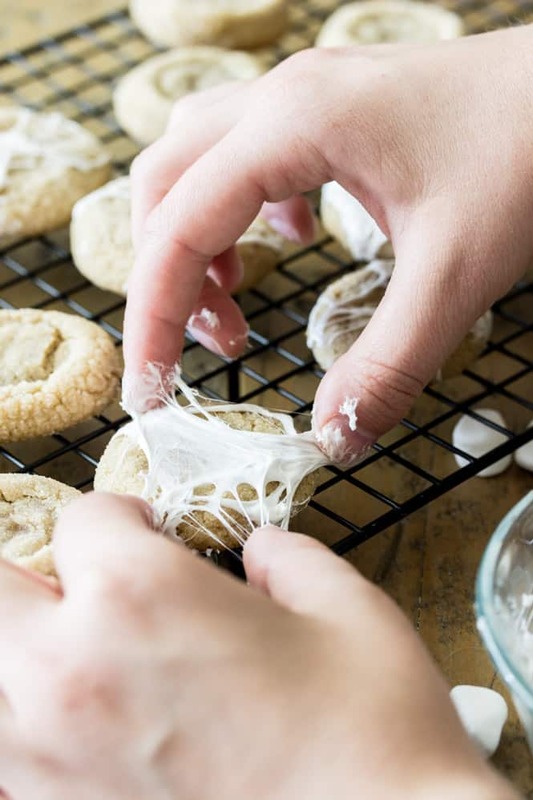 Once your cookies are cooled you get to make your marshmallow webs. They’re definitely messy, but the technique is simple. Working with just a handful of marshmallows at a time, heat them in a microwave safe bowl until they begin to puff (just a few seconds). Remove them from the microwave, stir with a spoon, and then dip your thumb and forefinger of both hands into the marshmallow (you don’t need a lot!). 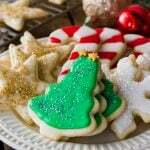 Pinch your fingers together and then gently pull them apart, stretching the marshmallow over your cookies (see above) and then tucking the ends underneath to secure the webbing. I recommend using a cooling rack with wax paper beneath it to place your cookies once they have their spiderwebs. 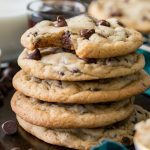 Repeat this technique with each cookie until they are all covered. You’ll find that the marshmallow that you’re using hardens quickly and will be unusable after a few bowls, so divide it up into multiple bowls rather than heating all of your marshmallows at once. Next comes our melting chocolate. I definitely recommend using melting wafers as this chocolate dries fast. 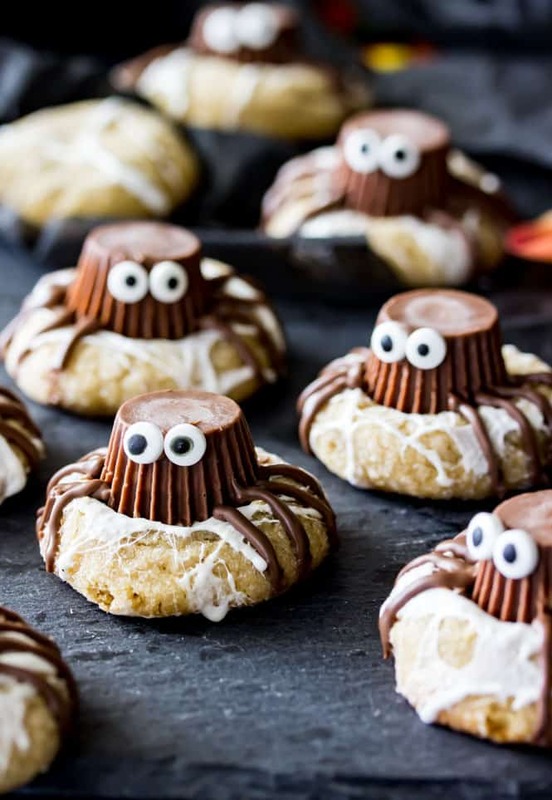 Use a small amount in the indent of each spider cookie, and then place your (unwrapped) Reese’s top down into the chocolate (thanks to our Reese’s indents from earlier, they will fit perfectly in the indents). The chocolate will cement your spider bodies in place. A small dab of chocolate on the back of each eye will hold the eyes in place, and four lines on either side of the body will make up your spider legs. Your cookies will probably still be a bit sticky from the marshmallow and the less you have to pick them up the easier it will be. This is why I place mine on a cookie sheet with wax paper beneath (for easy cleanup), that way you can add your spider eyes and legs without having to pick them up or handle them too much. The chocolate will set in a matter of minutes, much faster than the marshmallow will. If you plan to stack or transport these cookies I recommend letting them sit out for a few hours before doing so — that seems to be how long it takes for the marshmallow to set. It’s a lot of steps and your hands are definitely going to get sticky, but I think it’s worth it. So what do you think!? Cute or creepy? If you’re looking for candy eyes, I found mine at Wal Mart in their cake decorating section and I believe Michaels also sells them — I used the small size for these spider cookies. 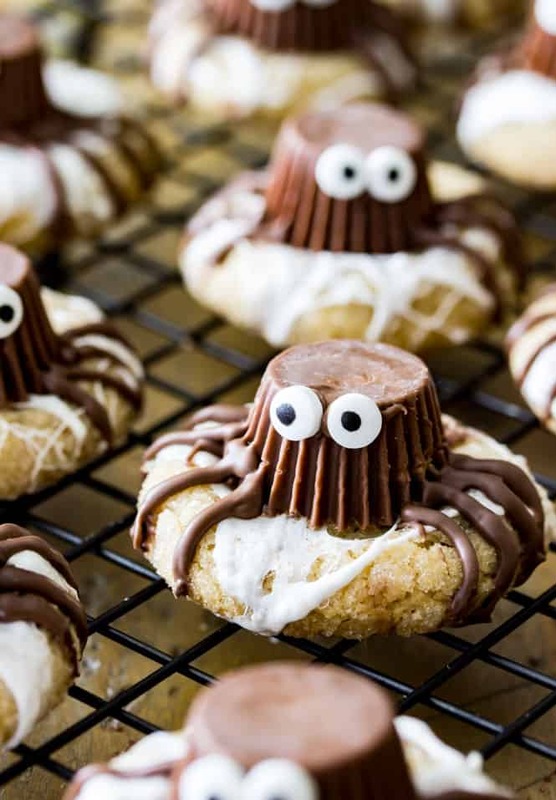 These adorably spooky Spider Cookies are perfect for Halloween! 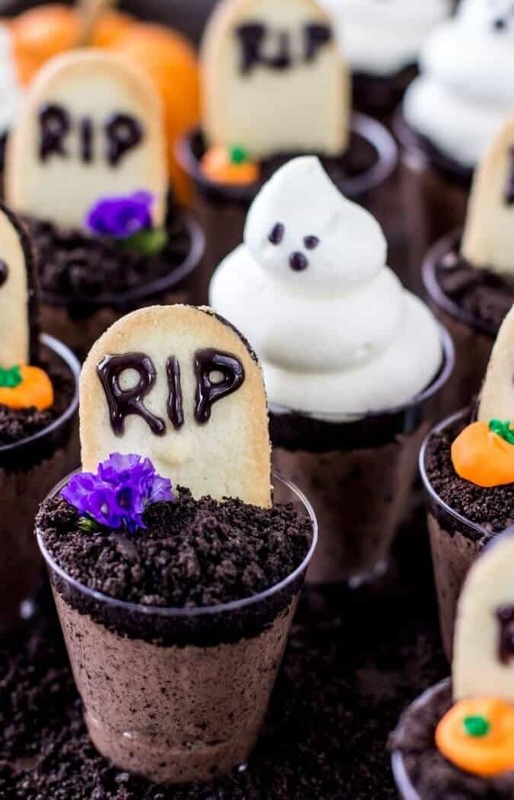 Made with peanut butter cookies, marshmallow "spiderwebs", and peanut butter cup bodies these Halloween treats are fun to assemble and almost too cute to eat. 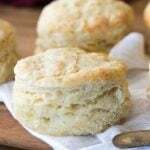 Combine butter and sugars in the bowl of a stand mixer and beat until well combined (about 1 minute). 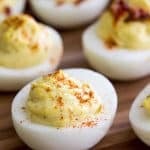 Add eggs and egg yolk, one at a time, pausing to scrape down the sides and bottom of the bowl after each addition. 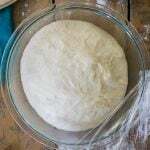 Place your dough in refrigerator and chill for 30 minutes to one hour (start with 30 minutes, if the dough is too sticky or cookies come out too flat, return for another half an hour). Once dough has chilled, remove from refrigerator and roll into 1 1/2-Tablespoon-sized balls. Roll through sugar and place on prepared cookie sheet at least 2" apart. Bake on 375F (190C) for 8-10 minutes, remove from oven and allow to cool on cookie sheet for 5 minutes. 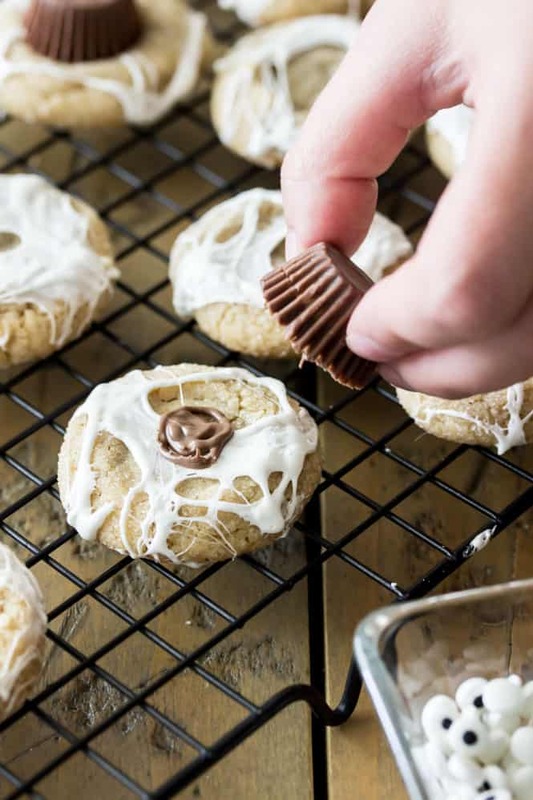 Use your frozen Reese's (I keep mine wrapped) and gently make an indent by pressing the top of the Reese's into the top of each peanut butter cookie. Allow cookies to continue to cool completely on cookie sheet before proceeding. Place about 1/4 cup of your mini marshmallows in a small microwave-safe dish. Microwave for about 10 seconds or until marshmallows begin to puff. Remove and use a fork or spoon to stir, deflating your marshmallows. 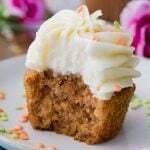 Using your thumb and forefinger of each hand, pinch some of the marshmallow filling. Stretch and pull the marshmallow apart with your fingers and drape it over your cooled cookies (See picture above for a visual guide). 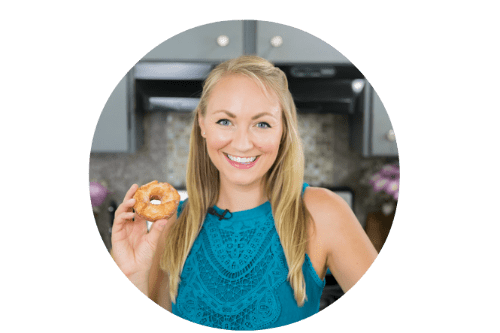 Marshmallow will cool quickly and become too difficult to use, once that happens with your first bowl of marshmallows, move on to a new bowl with another 1/4 cup marshmallows and repeat steps until all cookies are decorated. 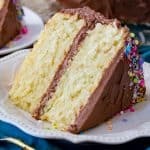 Allow marshmallow to set for several minutes before proceeding with the chocolate -- the longer you wait the less sticky it will be. Pipe a small amount of chocolate into the indent on your peanut butter cookie. 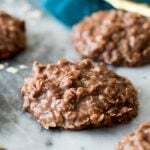 Work with one cookie at a time as the chocolate will harden fairly quickly. Place one Reese's cup on top of the melted chocolate, placing the top of the Reese's into the top of the Reese's. Pipe four chocolate lines on either side of the Reese's for the spider "legs". 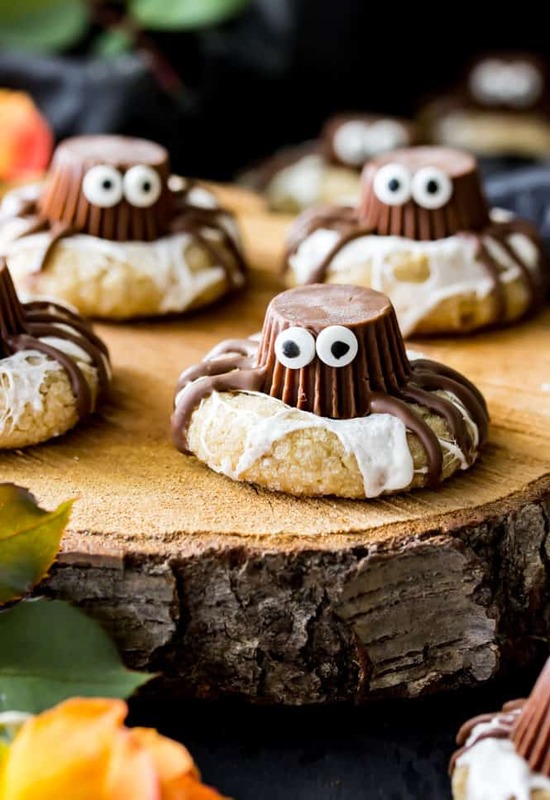 Dab a small amount of the chocolate on the back of a candy eye and press it against the side of the Reese's cup, repeat with another eye for your spider's eyes. Is it possible to use marshmallow fluff instead of melting marshmallows? Hmm, unfortunately I don’t think the marshmallow fluff will spread/stretch the same so I would recommend sticking with melted marshmallows. Just fyi – I don’t see the cornstarch mentioned anywhere in the instructions. Assuming it’s added to the flour mixture. I’m trying these today. They are super cute! These are so cute!! I feel like I’ve made a mess like that with marshmallow SO many times, but with these, it ends up being a great/adorable mess! I’ll let you know how they turn out. I really need to sit down and put together an update post. 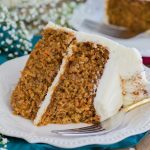 I’ve been baking every week, but I haven’t had any chance to sort through the pictures and write everything down. hey girl- these are so cute! yummy! have a great week!